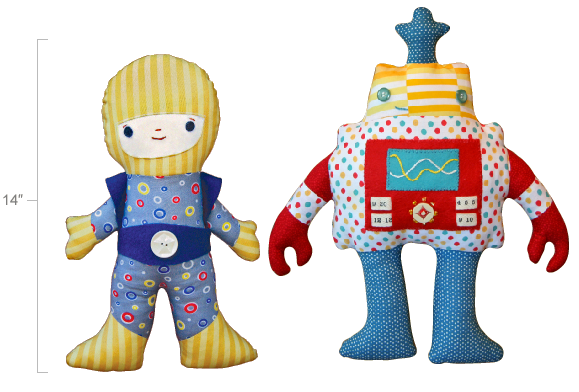 Complete patterns and instructions for two soft toys—one daring spaceboy and cheeky companion robot, about 14″ tall. Full-size pattern pieces and detailed instructions for construction and embellishment. 12 pages.